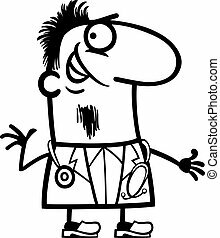 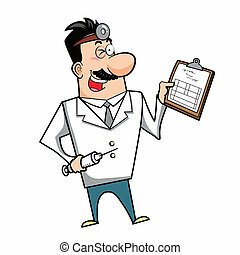 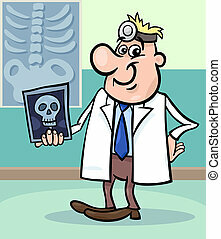 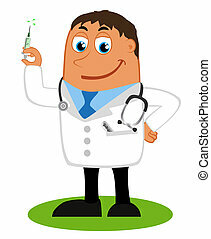 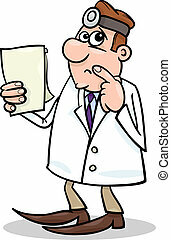 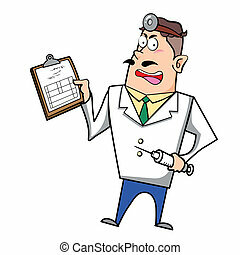 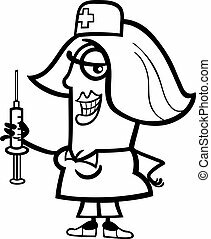 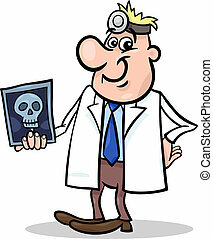 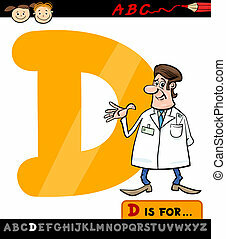 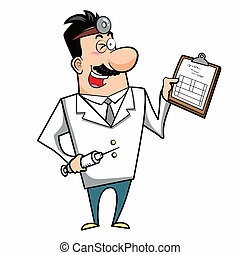 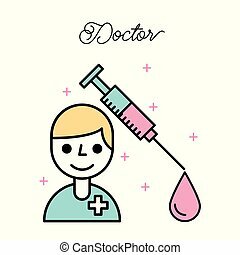 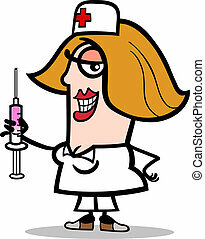 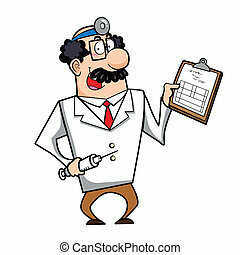 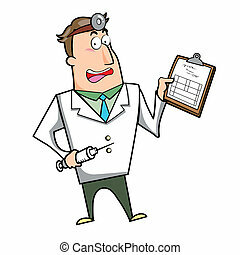 Doctor with syringe cartoon illustration. 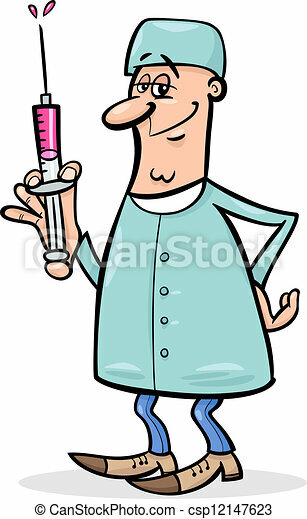 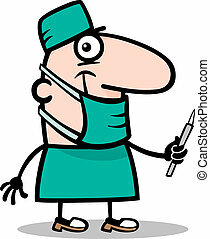 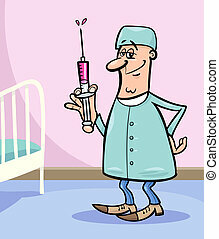 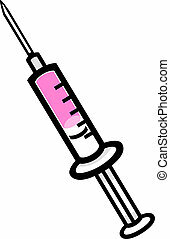 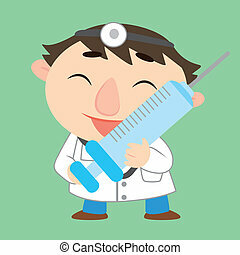 Cartoon illustration of male medical doctor or surgeon with syringe. 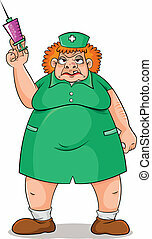 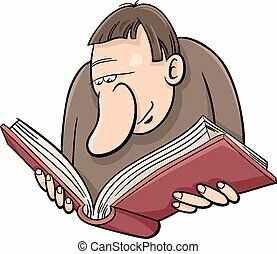 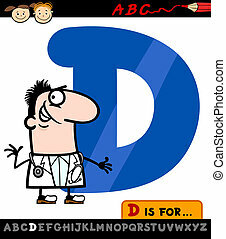 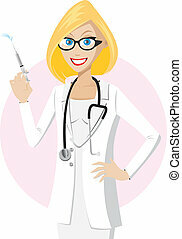 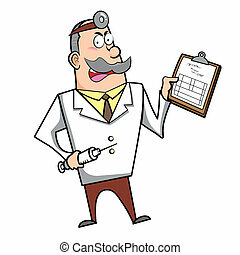 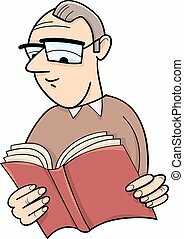 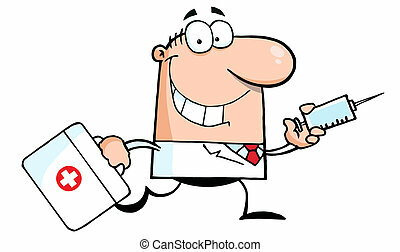 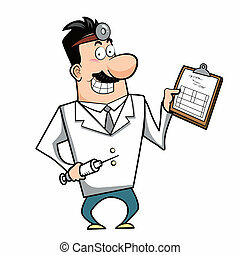 Vector illustration of a cartoon doctor with a syringe and medical chart clipboard.